In March Bradford council announced that they would be introducing a Public Space Protection Order (PSPO). This means Bradford locals, and visitors, could be handed a hefty £100 fine for anti-social vehicle use. So, what is a PSPO? And what do they class as anti-social vehicle use? A Public Spaces Protection Order is used to deal with a particular, often recurring, issue in a particular area that is having a negative effect on the quality of life for those in the local community. Council enforcement officers and police officers are authorised to act on them if they spot something or someone reports an offence. 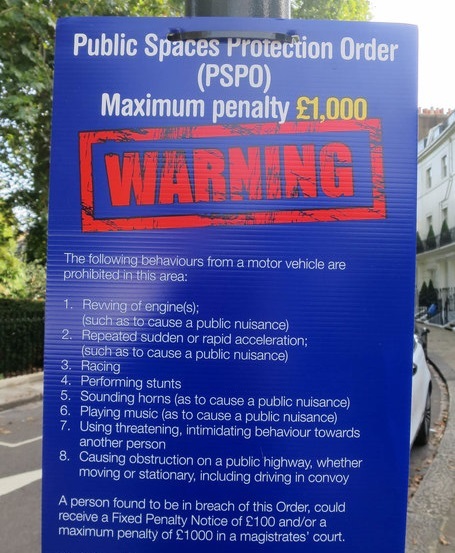 It was agreed on March 7th that the PSPO would relate to a number of driving concerns including playing loud music, shouting, swearing, causing a danger to other road users and making sexual suggestions from a motor vehicle. The council decided to take action after a public consultation found that two thirds of Bradford’s residents felt unsafe on their local roads. 76% supported a PSPO to help reduce the cases of anti-social behaviour on the roads. Council officers are aiming to get the PSPO rolled out in the next three months. It allows members of the public to report anti-social vehicle offences that Bradford Council can then investigate. Only police are allowed to stop moving vehicles. Many people are happy with PSPO being introduced. However, there are some concerns and questions that are yet to be answered, for example, how will it be judged if someone’s music is too loud; is it subjective or are they suggesting a set way of measuring? We’ll keep you updated on the progress of the PSPO roll out, but in the meantime if you have any feelings on the matter let us know via one of our social media channels.